I have said it before and I will say it again..peanut butter and chocolate are meant to be together! I don’t think that I have ever managed to create an unsuccessful recipe while mixing these two ingredients together. I am sure that one of the first food items to pop into your head when you think of peanut butter and chocolate is the good old Reese’s Peanut Butter Cup. While this is a delicious classic treat, it might not be one of the healthiest options out there. The good news is that you can still indulge in this simple combination of flavours while keeping healthy if you substitute a few key ingredients. 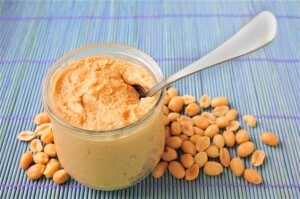 One of the most important changes you will need to make is switching to an all NATURAL peanut butter. If you have ever taken the time to read the ingredients label on a container of regular peanut butter you will see that it is full of unhealthy hydrogenated oils and unnecessary sugars, while the ingredients in a jar of natural peanut butter are simply peanuts. Peanuts have their own natural oils and sugars so to add them in seems unnecessary. I would also strongly recommend using an organic natural peanut butter. Peanuts are one of those foods that tend to get overexposed to pesticides and a way to avoid this is by switching to organic. The next major change you will want to make is ensuring that you are eating the right type of chocolate. By going darker you will reduce the consumption of additional sugars. The next thing you will want to look for is the type of sugar that is used to sweeten the chocolate. When choosing a chocolate brand try going with one such as Camino or Green and Black’s as they use natural sugars such as evaporated cane juice which is simply less refined and therefore a better option. These are also organic and fair trade products which is always an added bonus. While all chocolate has some degree of sugar to make it sweet, going with something that is at least 70% dark chocolate will allow you to keep the grams of sugar to a minimum. 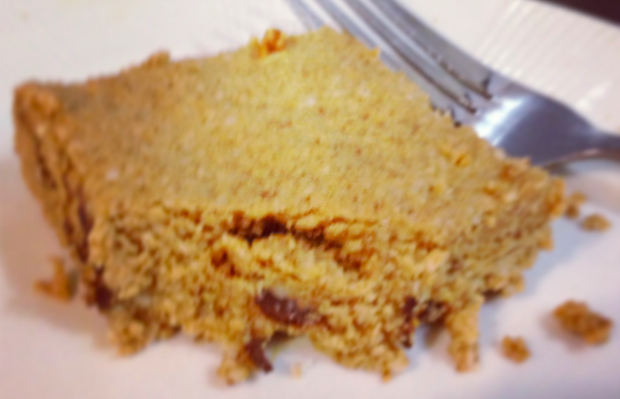 Now that I have covered some basic health tips about peanut butter and chocolate for you, I hope that you will try out some of these alternatives when experimenting with my new gluten and grain-free Peanut Butter and Chocolate Chip Blondies! 1) Make sure that the coconut oil is melted. 2) Mix the melted coconut oil together with the peanut butter, vanilla and coconut sugar. 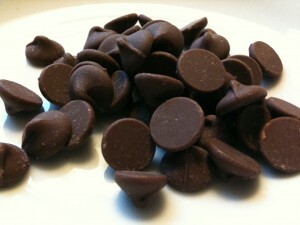 3) In a separate bowl mix together almond flour, baking soda and chocolate chips. 4) Fold the wet mixture into the dry and combine together until smooth. 5) Grease a baking dish with some coconut oil and preheat the oven to 375F. 6) Place mixture into baking dish, spread evenly and pat down well. 7) Bake for 15-20 minutes or until the edges turn a golden brown. 8) Let cool for 1 hour before eating or place in fridge after 30 minutes. ENJOY!